This is unlike any middle grade/YA book I’ve read before in how unflinching it is in terms of disability. Two characters with disabilities are at the center of the book: the narrator, Jessica, and her new friend, Rosa. The book opens with Jessica in the hospital after her leg is amputated, due to an injury in a bus accident. The first part of the book, which deals with Jessica’s adjustment to having one leg and her first days back at school, are pretty intense. The writing doesn’t shy away from the specifics–of Jessica’s physical change, and of her mental state. 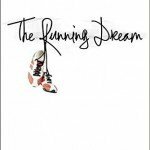 For Jessica, losing a leg–which means the potential of never running again–is devastating and hits her at her core, and the writing does an incredible job capturing that. As Jessica recovers, she experiences how having a disability changes how people perceive her. She’s both invisible and incredibly visible: she’s used for inspiration, accused of being a prop, is a source of awkwardness, and feels at times like a mascot. Jessica’s new friendship with Rosa, a girl with cerebral palsy who she had essentially ignored before her accident, is really well written and says a lot about disability advocacy. Jessica is able to realize that she and Rosa are both similar and different: they share a lot of the same hardships and experiences, but Jessica is able to advocate for herself in a way Rosa finds difficult. People also perceive Jessica and Rosa differently. 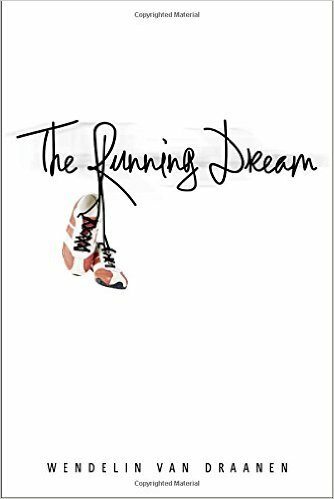 I was really impressed that the book doesn’t end with Jessica finding a way to still be part of the track team, but with Jessica advocating for Rosa, and using her new influence to put the attention on her friend. It’s tough to find solid depictions of students with disabilities, so this book is valuable just for that. Additionally, the actions Jessica’s team takes to help her–and Jessica’s actions to help Rosa–makes this book a good one to read for a unit on social justice or activism. The female friendships in the book are fantastic, so it can be read from that perspective, as well. There are some tough issues here, especially early in the book, that might be too heavy for younger readers. This is a great high-interest book for middle schoolers who read below grade level. I think some 4th graders would handle it better than others, but I think for 5th and up it would be fine. One of my 6th graders has read it and really enjoyed it.